According to a new report, the North America Voice Recognition Market size poised to grow at a market growth of 10.8% CAGR during the forecast period (2017-2023). The Enhanced Devices market dominated the Mexico Voice Recognition Market by Type in 2016 with the significant market share, growing at a CAGR of 14 % during the forecast period. 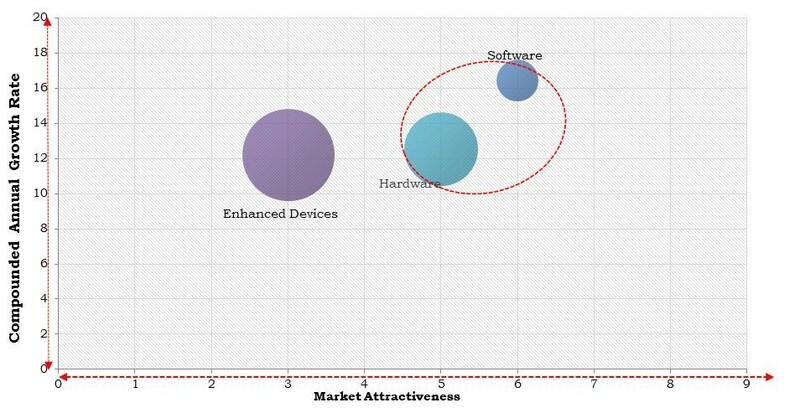 The Hardware market would attain market size of $1,376.9 million by 2023. Additionally, The Software market is expected to witness a CAGR of 18.3% during (2017 - 2023). The US market dominated the North America Voice Recognition in Automotive Market by Country in 2016 with the significant market share, growing at a CAGR of 9.5 % during the forecast period. The Canada market is expected to witness a CAGR of 14% during (2017 - 2023). The Mexico market is expected to witness a CAGR of 15.4% during (2017 - 2023). The Non- Artificial Intelligence Based market dominated the North America Voice Recognition Market by Application in 2016 with the significant market share, growing at a CAGR of 9.7 % during the forecast period. The Artificial Intelligence Based market is expected to witness a CAGR of 13.7% during (2017 - 2023). The market research report has exhaustive quantitative insights providing a clear picture of the market potential in various segments across the countries in the region. The key impacting factors of the North America Voice Recognition Market have been discussed in the report with competition analysis and the elaborated company profiles of Nuance Communications, Inc., Microsoft Corporation, Google Inc., Apple, Inc., Amazon.com, Inc., Hoya Corporation (Readspeaker Holding B.V.), International Business Machines Corporation, VoiceVault, Inc., Raytheon Company, and Advanced Voice Recognition Systems, Inc.
Advanced Voice Recognition Systems, Inc.